There’s no denying the fact Americans love to bet on sports. For example, there’s plenty of evidence showing that some players on the Chicago White Sox accepted bribes in order to purposely lose the 1919 MLB World Series. The sports betting industry is now worth multiple billions annually. A lot of money is wagered in Nevada where people can legally bet on sports, but even more money is wagered offshore using online sportsbooks. We’re not lawyers and won’t discuss the legalities of betting online because they vary by state, but there’s no federal law preventing Americans from betting on the internet and we’ve never heard of individual bettors being prosecuted. With that being said, it’s illegal to operate an online sportsbook, which is why they’re all located offshore. There are several popular licensing jurisdictions, including Kahnawake (Canada), Curacao, Malta, Antigua and Isle of Man. The US government also makes it difficult to operate an online bookie by having banks block transactions. This is why it’s difficult to deposit for American bettors, although there are still simple methods available. For many years now most bettors have been using Western Union or MoneyGram to send and receive money. The one downside is the fees associated with these payment methods, which really cuts into most bettors profit margin. An alternative that we recommend looking into is Bitcoin. I’m sure you’ve heard of Bitcoin (BTC) by now and I’ll allow you to perform your own research on the virtual currency, but it has become a favorite banking method for bettors. Many of the most reputable US bookies accept Bitcoin now and have for multiple years. There are a host of Bitcoin-only sportsbooks too, but they’re relatively new to the industry and we advise sticking with the experienced brands. 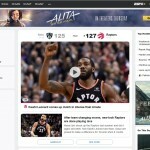 Obviously reputation is major factor when choosing a sportsbook, but there are quite a few reputable brands out there in the market. You’ll need to look at some other important factors to narrow down your search. Your personal needs should come first. What sports do you want to bet on? Do you want to be able to bet on a variety of props that may not be widely available? These are important to questions to ask yourself before starting your hunt. What about bonuses? 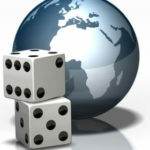 If you want to find the biggest US sports betting bonuses you can find them at Picks.org. 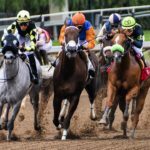 Size isn’t all that matters with betting bonuses, the wagering requirement is even more important. You also want to see what the average odds are at the bookie. Some bookies offer dime lines for MLB (-105/-105), while other bookies only offer standard lines (-110/-110). Always bet with the sportsbooks offering the best odds. Over the long run your profits will be much bigger if you bet into the best price every time. This is why you shouldn’t limit yourself to one sportsbook account. Having multiple accounts allows you to get the best odds every time. 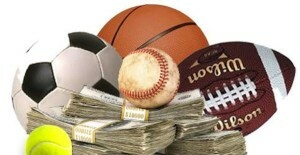 Sports betting in the USA is safe and for most of us in the country, it’s the simplest way to wager on sports. You simply open an account, fund your account and then start betting. At any time you can withdraw your winnings. Whether you want to bet on the NFL, MLB, NBA or any other sports, including international sports, you can do so with an online betting account. Even if you have a local bookie, you likely can’t bet on international sporting events.